The international event dedicated to e-health and to new tools and technologies designed for the future of healthcare. Please find below the information concerning the 5th edition of e-Health World Monaco which will take place on 26 and 27 March 2019 at the Fairmont Hotel, Monaco. The talks during the event will be held in French and in English. Simultaneaous translation will be available. e-Health World Monaco is preparing the future of health! After only 4 editions, it has become the unmissable international event dedicated to e-health and new technologies that will shape the future of healthcare. It will bring together more than 600 participants, healthcare professionals, industrials, startups and innovative SMEs, public and private health establishments from all over the world. All these professionals meet every year in Monaco to exchange, organise business meetings and attend conferences and round tables organized on this occasion. 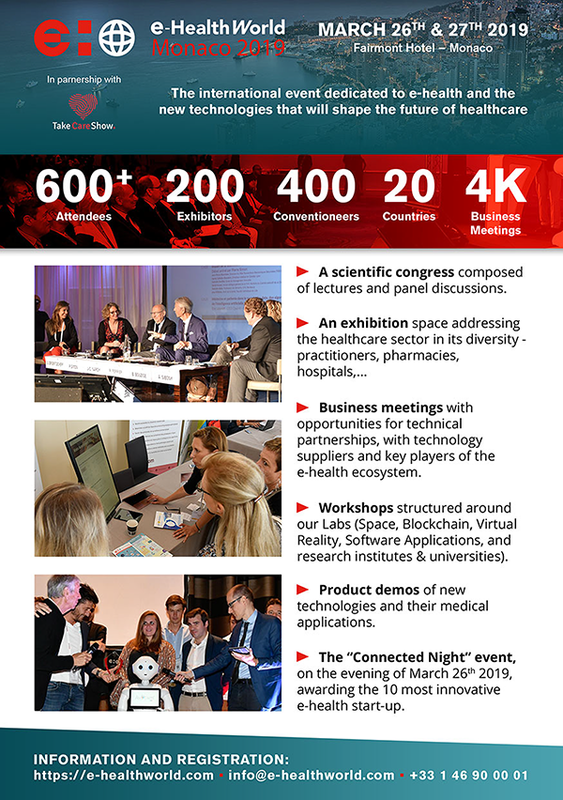 New on e-Health world Monaco 2019: the business meetings! Participating in e-Health World Monaco 2019 will be for you the opportunity to meet decision-makers in your fields of expertise during individual pre-scheduled business meetings. You may also choose to benefit from exhibiting at the event for more visibility or use our sponsorship option to communicate globally towards a population 100% core target. Every year, e-Health World Monaco also hosts company delegations gathered around cluster, national and territorial pavilions. 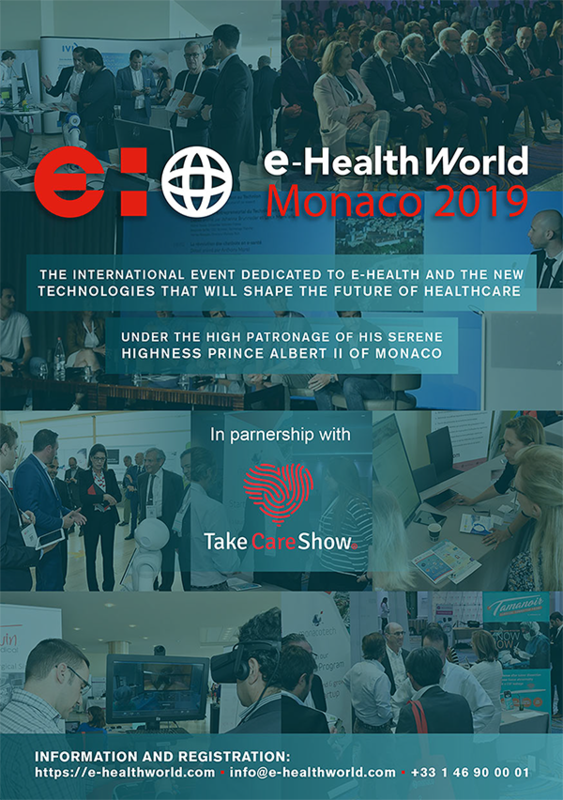 You may choose to mobilize the companies you support to enable them to take advantage of the many opportunities offered by e-Health World Monaco in the form of a pavilion.